The current Erie County Medical Center building is an imposing concrete structure and an East Buffalo landmark. 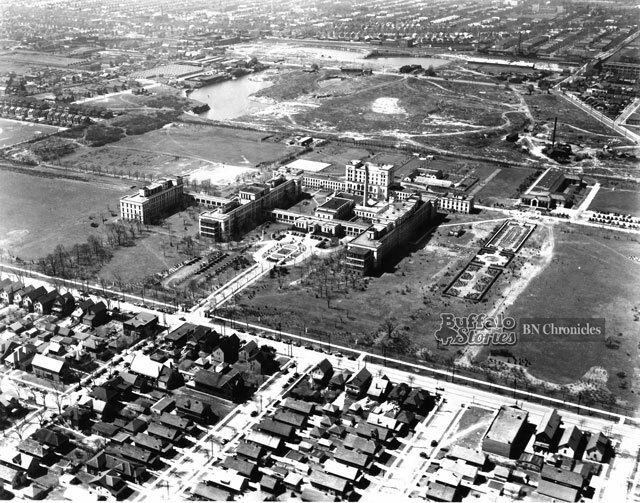 But the hospital on Grider Street wasn’t always a hulking gray monolith. 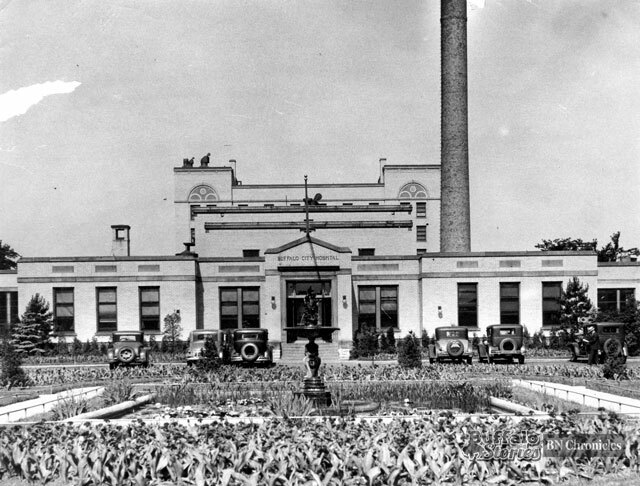 Buffalo City Hospital opened in 1918, and the peaceful gardens surrounding it were described in 1934 as a fresh air garden, with benefits and recuperative powers for patients. 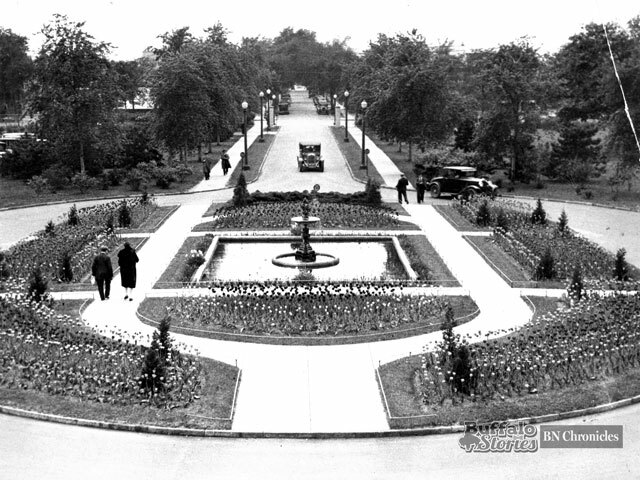 In 1939, Buffalo City became Meyer Memorial. 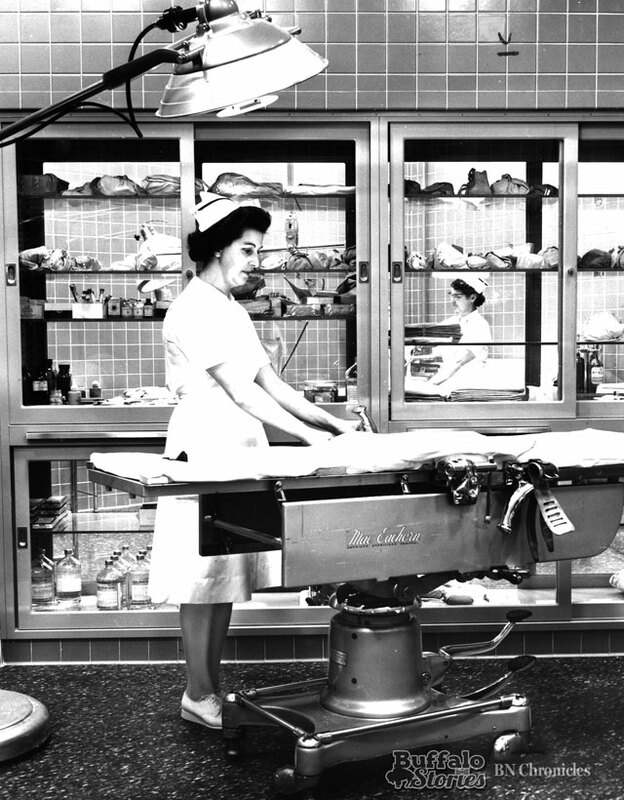 Among the $150,000 in improvements to the hospital in 1962 were two new delivery rooms, being shown off here by nurses Lois Newton and Frances Thorp. The hospital’s name changed to Erie County Medical Center with the opening of the current building in 1978.